Used to love spotting the real 112 when it was on long term loan to IE, so when the model was announced by Paddy it was on the top of the wishlist. My one gripe with the MM071/112 is that the horns are attached already (unlike the 141/181) which didn t help with painting. The pipes came from the spares box with some of the MM ones put on as well. I ll have to get on to Georgeconna about dirtying her up a bit!!! 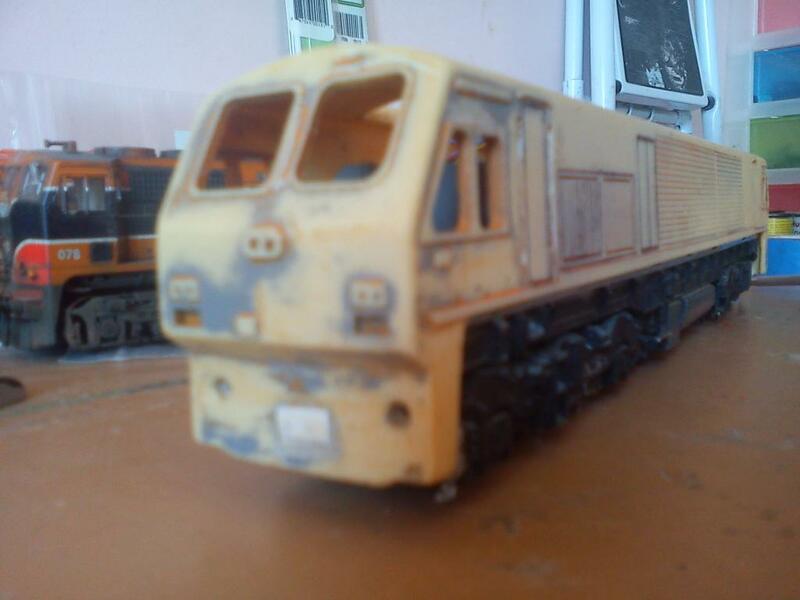 Lovely work Riversuir, George will definitely sort out the weathering for you. It's nice to see another Waterford man involved in the hobby. Keep up the good work. I recently bought 5 Mir Tara wagons(many thanks for the tip off) after missing out on Robs 121:mad: on ebay, disaster struck when unpacking the boxes when i discovered three lots of bogies missing but thanks to another member on here the bogie crisis has ended. Really enjoyed building the wagons, they when t together really well but as i was building them i couldn t get the fact that 5 taras is too short of a rake so thoughts turned to scratchbuilding. 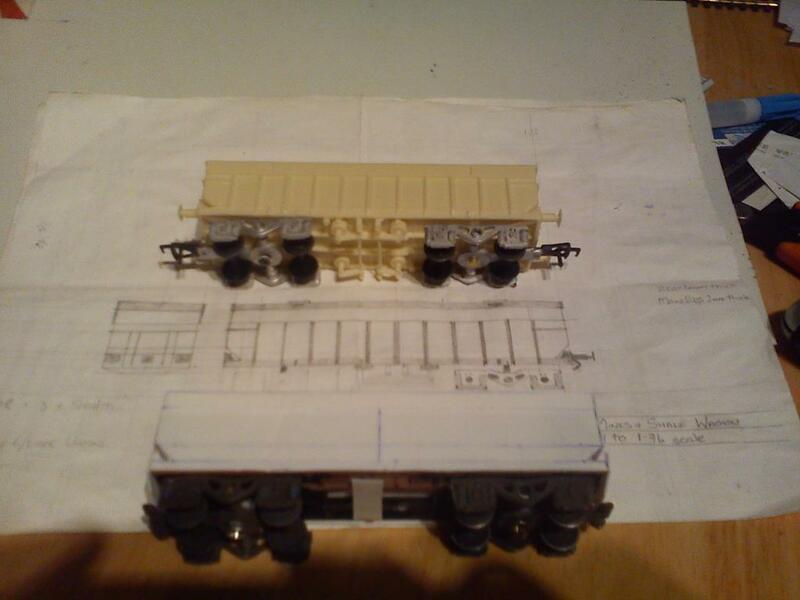 I had the drawings for the taras(along with a few other wagon types), so i got out the pencil, set squares etc and set about drawing it too scale. (If anyone wants the drawings i ll gladly supply them just drop us a pm and i ll send them off to you). 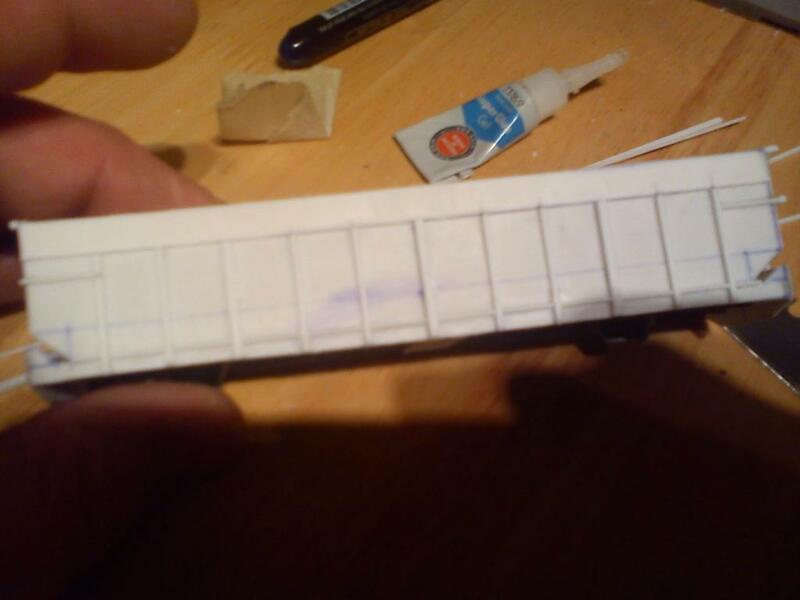 For the chassis i used a cut down hornby freightliner wagon, i used the drawing for the correct spacings between the bogies. 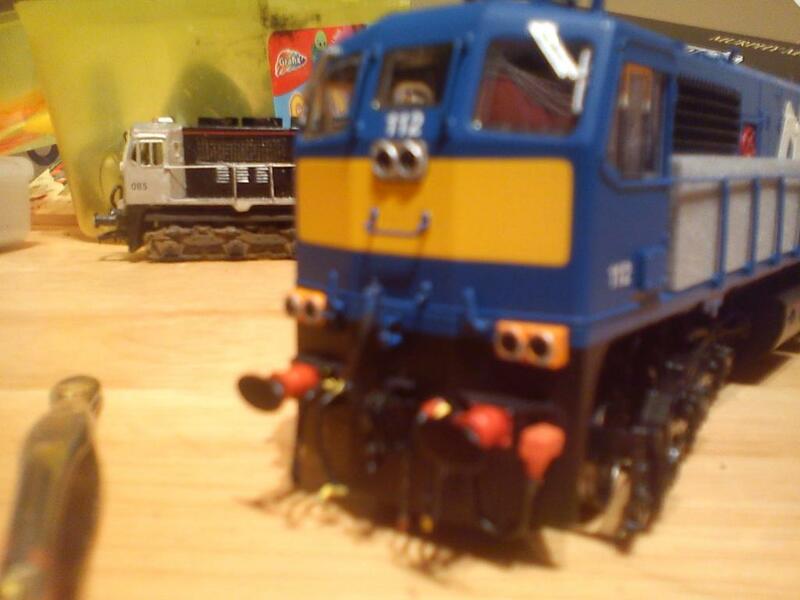 I then drilled out the old bogies which are attached by rivets. The body is made from various grades of plasticard with the support ribbing built from plastistruct. All thats left to do on the protype is to build the buffers. Hmm now to decide on whether to paint them in original blue or in the newer scheme. Many thanks to Anto for his detailed pics on the old site which are proving their worth in gold. Many thanks Rich, still trying to get George to come over to our side of the border though!!!!. Scratchbuilding is one of those painful topics in railway modelling. sometimes its a bit wonky, but other times it works out just right. it's never the same thing twice, but you always learn from it. Suir, you're doin a crackin job, the satisfaction of having a complete rake is something only you can appreciate. afterall, its a basic skill required for irish modellers. hats off sir. looks great-and where did you get the detail parts?. Brilliant work Tom. Pitty about the 121. Good luck with the rest of the rake of the taras. great workmanship - well done! Patience and skill displayed with a good result. That is one of the beauties of scratch-building, "its never the same thing twice". When wagons go in for repair, I am sure even the twelve inch to the foot scale come out looking different to when they went in. No chance Riversuir. George is a dyed in the wool rebel. The Tara's look smashing, one of MIR'S best kit's. The scratch builds are smashing. Many thanks lads for the kind comments, very much appreciated. Excellent job on the Tara's, great to see them being scratch built. Nice work with the scratchbuild. Looking forward to seeing her finished and painted. Lovely job done! A question, were those tara's got via Donedeal in Waterford? I saw a brace of them on it some time ago..I didn't purchase as too much on the plate at the time. Cheers Tom,thanks for that.Will you be down for Wexford show?. Hope so, i ll be leaving the wallet at home though (not like the last time!!!!). It's a nice job on 078. Bought this off baby gm the other day, couldn t miss the opportunity to try the marks models version of a 201. After a little service on the chassis, i turned my attention to the body as i m trying to decide whether i ll put her in NIR livery as 209 or one of the 201 orange ones. I thought a good place to start was to strip the existing paint off and start from bare resin. After a little bath in brake fluid, this is what emerged. 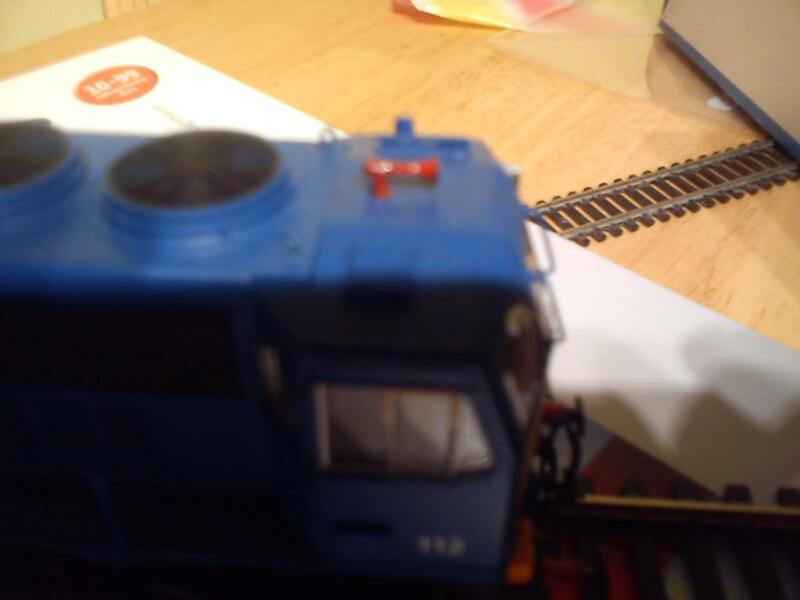 Nir blue livery it is then no 209,!!! i ll put my hands up yes i could buy the forthcoming MM, yes i spent an age looking for good pics of her and i did spend more time still looking for nameplates in my little stash of old mir 201 bits and pieces only to find out 209 has never worn them. 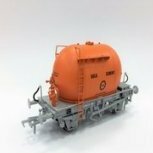 Bachmann exhaust, spare MM 201 detailing bits, wire handrails, mir 209 nir decals. 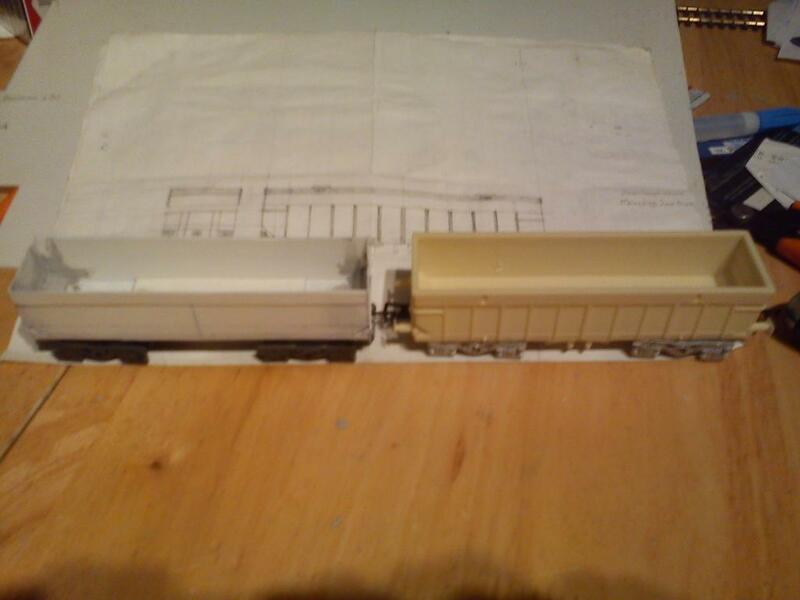 and finally trying not to order an old bachmann 66 chassis and to stick with the hornby cl 59 chassis that came with her. Fran, i asked for that, didn t I:D.
Brian, fingers crossed she ll be finished by the end of May. was very impressed with how well she ran. The A class are a pretty poor puller alright! chassis which is a super runner and only 36stl from Hattons . more weight for better traction. 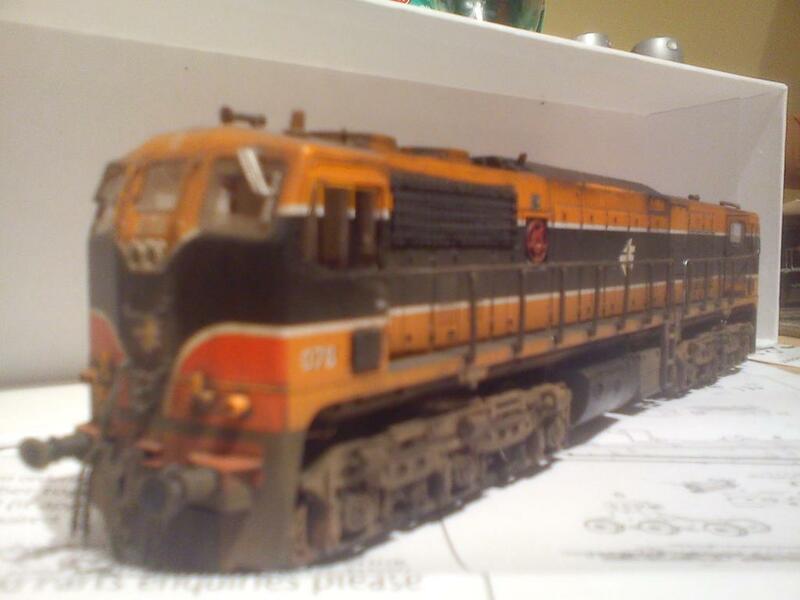 I put 2 class 55's in one of my A Classes and no problem with pulling power now. Don't forget to put plenty of lead inside.